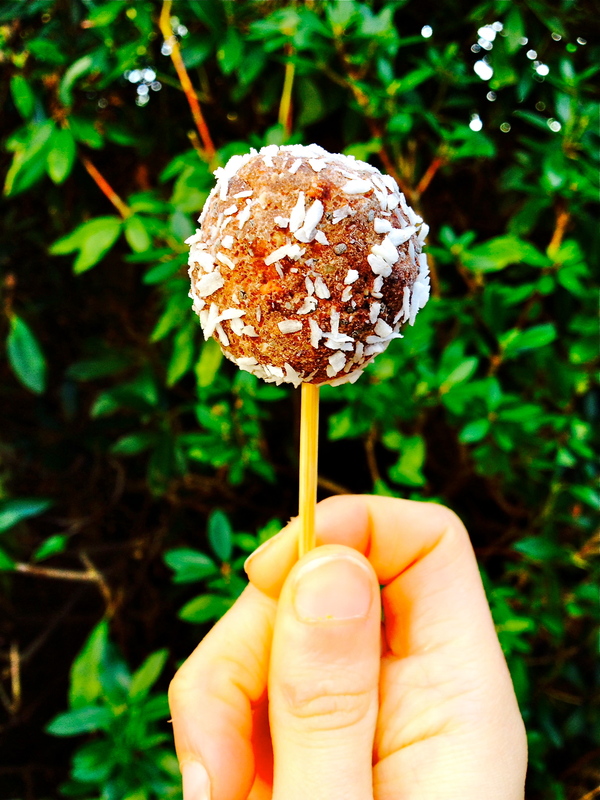 Energy, deliciousness, and healthy-goodness on a stick! Make these snacks, freeze them, and get them out when the weather is warm enough to pretend it’s already Summer…. Providing all the antioxidant benefits of raw cacao, mood-boosting goodness of cashews (A large handful actually contains the same amount of tryptophan as a prescription dose of Prozac! ), blood-sugar balancing help from cinnamon, healthy fats of coconut, the natural sweetness and energy-boost benefits of dates, iron content of lucuma, and anxiety-reducing elements of vanilla extract. In a blender or food processor, finely grind the cashews. When you take them out, they’ll taste like delicious frozen chocolate popsicles, but these ones are full of health boosting nutrients. Enjoy!